Perenco is Europe's first independent oil and gas company, with a worldwide portfolio of assets resulting from a unique know-how in the operation of mature fields and from an ambitious acquisition strategy. Perenco operates 90% of its assets thanks to the excellence of its own teams in all oil upstream disciplines, and has developed a strong technical and economic competence to operate mature fields. Perenco is present in 14 countries around the world, ranging from Northern Europe to Africa, Central and Latin America and South-East Asia, with onshore and offshore sites through sustainable partnerships. Perenco markets 11 types of very different crudes to a wide range of customers throughout the world; major players integrated into trading houses, refiners and new market players. Perenco is the first independent European company able to invest in major development projects, some of which aim at diversifying its business activities. As a responsible operator Perenco has developed an environmental approach to control the impact of its activities and has been deploying social, human and economic actions close to local populations and national authorities. Perenco, ce sont aussi et surtout des femmes et des hommes qui, chaque jour, partagent des aventures uniques aux quatre coins du monde. Vivez l’expérience Perenco à travers leurs mots. The Operations Department conducts all activities taking place on oil facilities and manages the day to day production from well to storage including extracting, processing and transporting crude oil and natural gas. Operations are also in charge of anticipating tomorrow's needs to guarantee Perenco’s facilities scalability. Finally Perenco can operate by optimising production costs and service quality thanks to the specific way skills have been internalised and the willingness to take each site’s specificities into account. Our main mission is to optimise well production. Activation types, by gas lift injection or ground pump are determined according to well parameters - in particular the existing pressure and effluent composition. Our production is monitored by rotating teams who check well parameters and behaviour. Monitoring is carried out on the field and in monitoring rooms installed in subsidiaries and at headquarters. Our second role is to manage the process by separating production fluids into their oil, gas and water components. Finally the last step is to route our production to a storage point on one of our offshore stockers or to a ground terminal. Our teams also manage all the logistics between subsidiaries and sites, ensure all operations are compliant with HSE procedures and maintain our facilities. One of Perenco's particularities is the company’s choice from its early beginnings to internalise many operational skills that other oil companies generally choose to outsource and to develop tailor-made projects. At Perenco we do not give orders, we operate. As a consequence we are committed not to outsource what is the core of our profession. However our service internalisation policy is not always systematic. It is designed according to our needs and depending on the areas where we operate. If a service is required in the long term we usually prefer incorporating it, for example well measurement (logging), perforating or work-over. At Perenco the internalisation of these skills is experienced as a strength that allows us to leverage service costs and service quality. Similarly, we are committed to taking some distance towards standard solutions, which are most of the time oversized for our projects. Engineers are on site at the source of data recovery; they are expected to understand the fields entrusted to them, to reflect and show ingenuity in order to establish tailor-made specifications customised for each site and to manage their operations safely. Operations bring together a multitude of professional bodies and multicultural teams. On site we mainly meet with mechanics, electricians, automation engineers, HSE managers and production engineers who are responsible for the overall understanding of processes and wells. Our teams must demonstrate their adaptability to work on projects with flexible scopes. They must show initiative and have the ability to question operating procedures. They must also have strong relational qualities in order to work with other Perenco professionals in countries which all have their own cultural specificities. 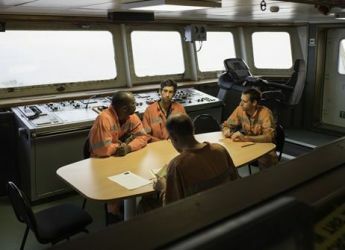 If storage is carried out on a floating unit, the existing team is supplemented by technicians and engineers from the Marine department. In subsidiaries operation teams are in charge of the daily production and short and medium-term projects, and they refer back to headquarters for longer-term projects. Operational jobs are primarily field jobs that rely on deeply committed men and women. We leave our collaborators a great operational freedom to run our sites because we believe autonomy promotes creativity, accountability and understanding and risk involvement. The cohesion of our teams is also fundamental. It is made possible by correctly adjusting the balance between expatriates and nationals, through intercultural exchanges, and above all by sharing values and a common know-how. Perenco is the first independent oil and gas company in Europe. 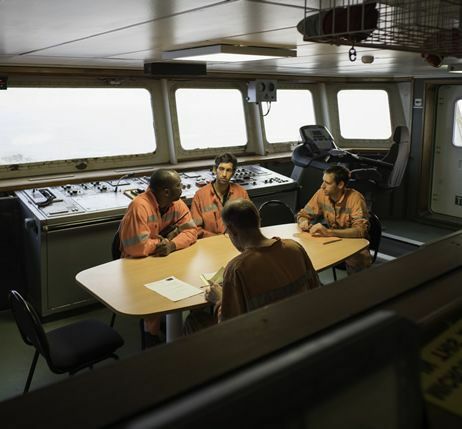 Our teams bring together over 6,000 collaborators who operate both onshore and offshore within 14 countries throughout the world from Northern Europe to Africa, South America and South-East Asia. We work with passion, responsibility, courage, integrity, humility, confidence and optimism: the seven values that drive Perenco’s collaborators. Set off for the international adventure with Perenco and come and share our vision of the future. We need your expertise and talents, and we will know how to value and enhance them.